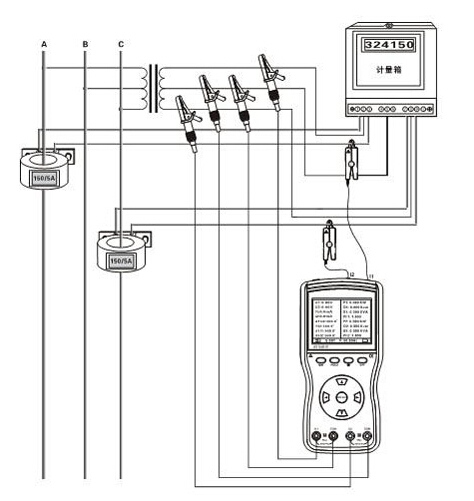 Simultaneous measurement of two AC voltage, current, phase between voltage, phase between current, phase between voltage and current, frequency, phase sequence, active power, reactive power, apparent power, power factor, distinguish transformer wiring group, inductive and capacitive circuits, test second circuit and bus differential protection systems, read the phase relationship between CTs of the differential protection, check the meter wiring right, repair lines and equipment, etc. 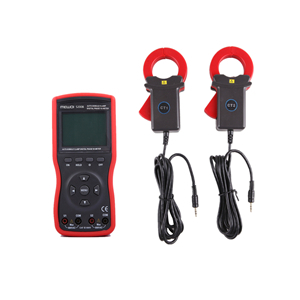 MEWOI5000B Intelligent Double Clamp Digital Phase Volt-Ampere Meter is a well-developed full-automatic, multi-functional, digital, intelligent meter specifically designed for field testing, which is a overall upgrade product based on mechanical knob phase volt-ampere meter, can simplify operation and reduce the possibility of misoperation, featuring high accuracy, high stability, low power consumption, easiness to use and so on. 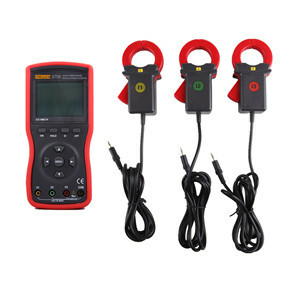 It can directly measure AC voltage and AC current without opening the measured circuit, phases between three voltages, three currents and phase between the voltage and current; in addition, the power factor and power of the circuit can be indirectly measured, it can also be used to distinguish three-phase sequence, transformer wiring group, inductive and capacitive circuits, test second circuit and bus differential protection systems, read the phase relationship between CTs of the differential protection, check the meter wiring right, repair lines and equipment, etc. 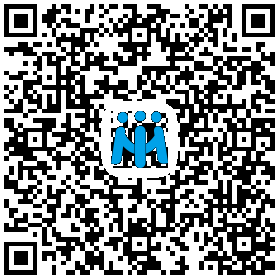 Apply to electric power, petroleum chemical industry, metallurgy, railway, and meteorology, industrial and mining enterprises, scientific research institutions, measurement sector and so on. Especially for the electricity billing system and relay protection system, and electricity measurement, electricity check, power inspection for power marketing department. Assembling, relay protection, differential detection, start experiment, substation overhaul, or power practical training, skills match for biotech department. 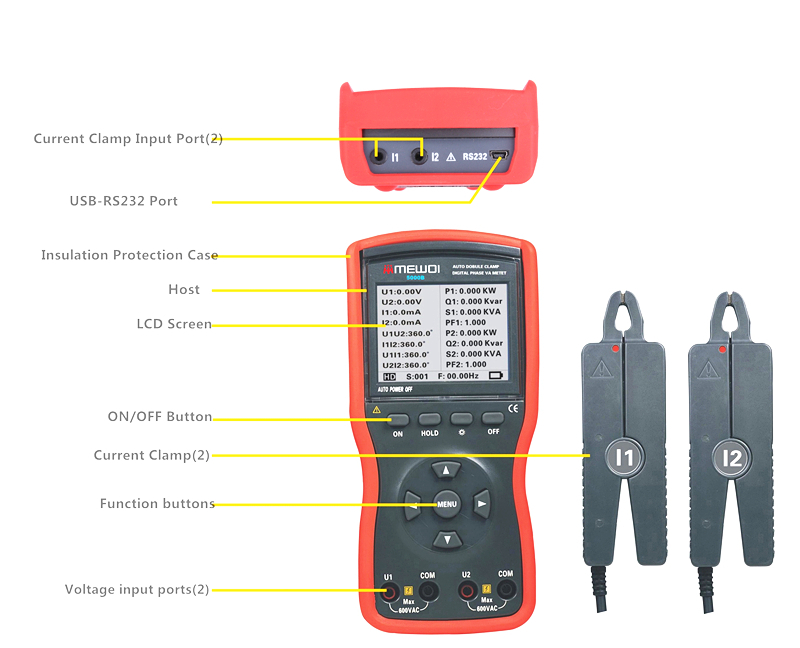 MEWOI5000B Intelligent Double Clamp Digital Phase Volt-Ampere Meter has well designed shell mould made of newest material, attach with shakeproof, skidproof, high insulation sheath, has a 240dots×160dots LCD screen, all the test data display on the screen simultaneously, vector diagram indication, and looks exquisite and comfortable. Meter equipped with USB-RS232 interface, can store 500 sets of data, through the system software upload stored data to the computer, implementing online real-time monitoring and historical inquires, dynamic display. Can read, save, report, print history data, etc. Its small mouth clamps are suitable for line densely places. Low battery symbol “ " appears to remind the replacement of battery when the battery voltage drops below 7.2V. 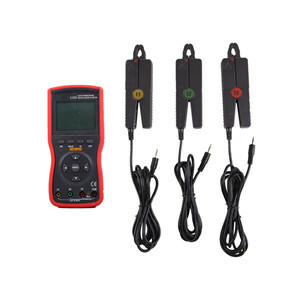 Main Unit: 1 pc; Meter Box: 1 piece; Current Clamp: 3 pcs; Test Line: 4 pcs(2 yellow, 2 black); RS232 Data Line: 1 pc; Disk: 1 pc; Battery: 6 pcs(alkaline dry battery: 1.5V AA); User Manual: 1 pc ; Guarantee Card: 1 pc; Certification: 1 pc.